In unrestored condition a guaranteed source of annoying background noise such as rumble. 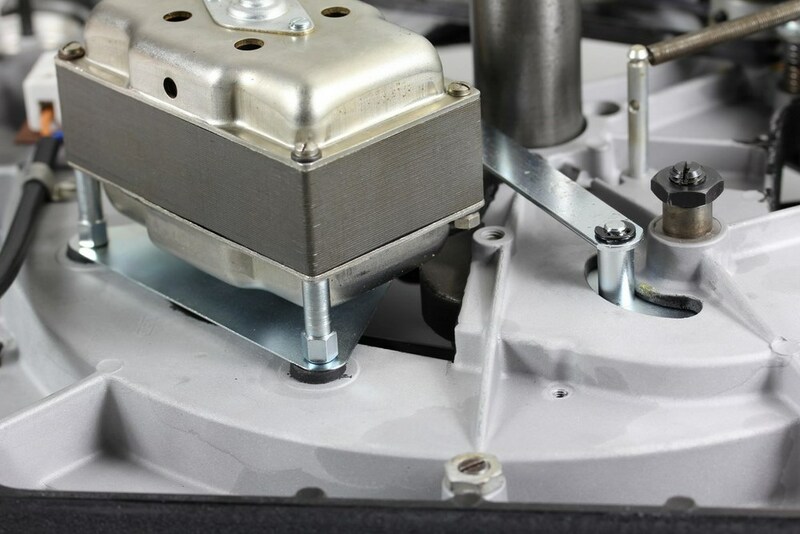 A revised motor develops much less vibrations, runs very quietly and thus transmits only minimal disturbing noises to the chassis. 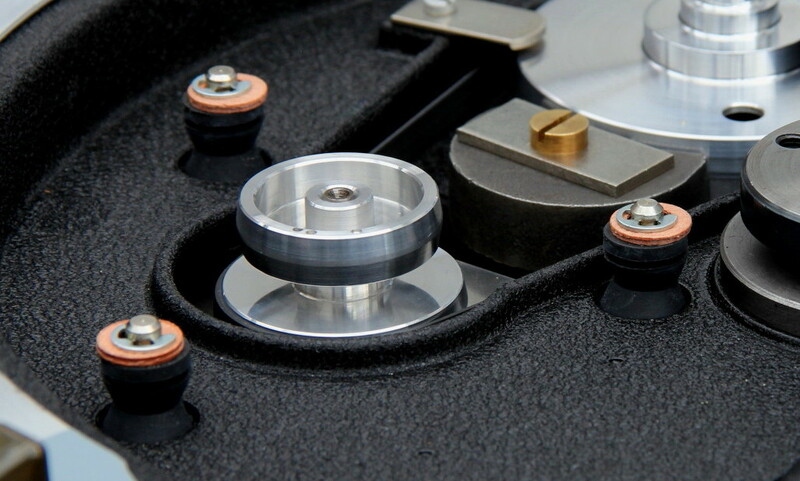 Revised motors usually reach the target speed of e.g. 33rpm effortlessly in just one single turn of the heavy main platter! 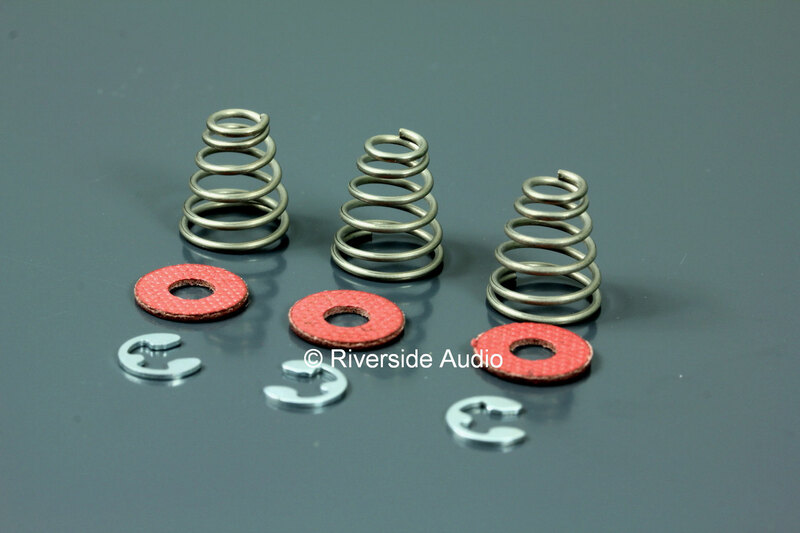 Treat your motor with a revision, you will be amazed by the difference in sound! the description in our "Restorations & Repairs" section. 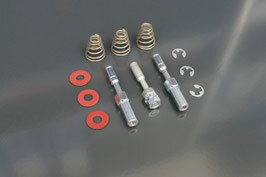 Complete rebuild kit including all parts needed for a perfect motor rebuild. Suitable for MkI, as well as for MkII models. Your motor reaches the correct speed only after a long time, the motor makes noises and gets extremely hot? 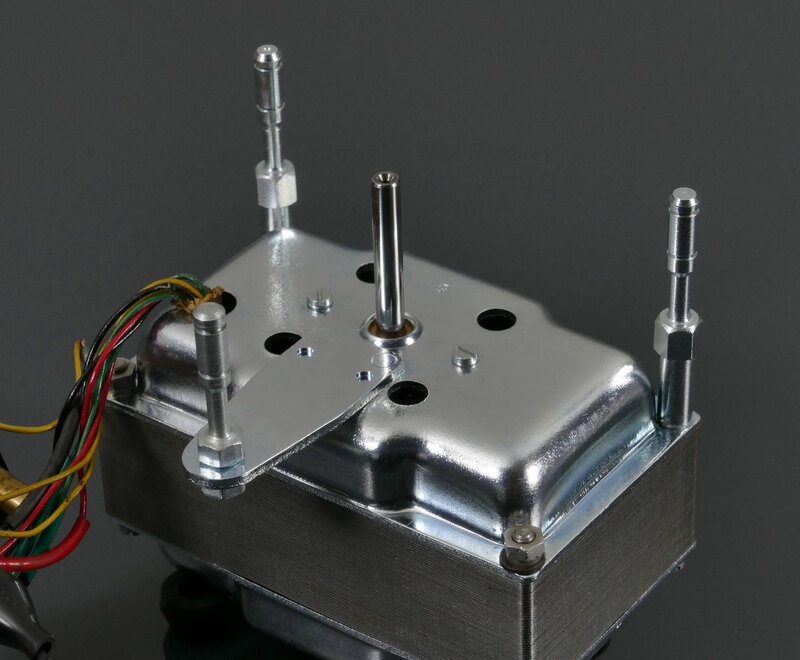 These are clear signs of a non-properly working motor! 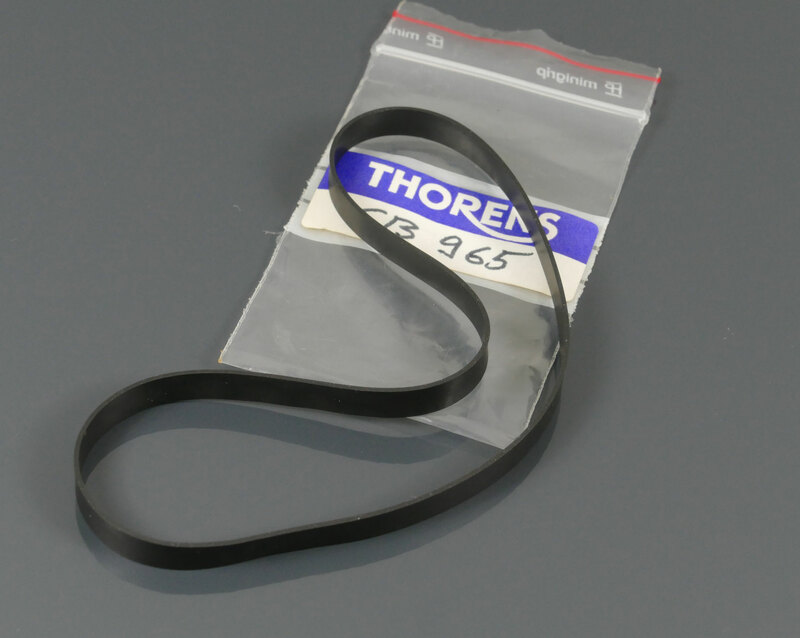 After 50 years or more, a complete revision of the motor is inevitable and highly recommended. 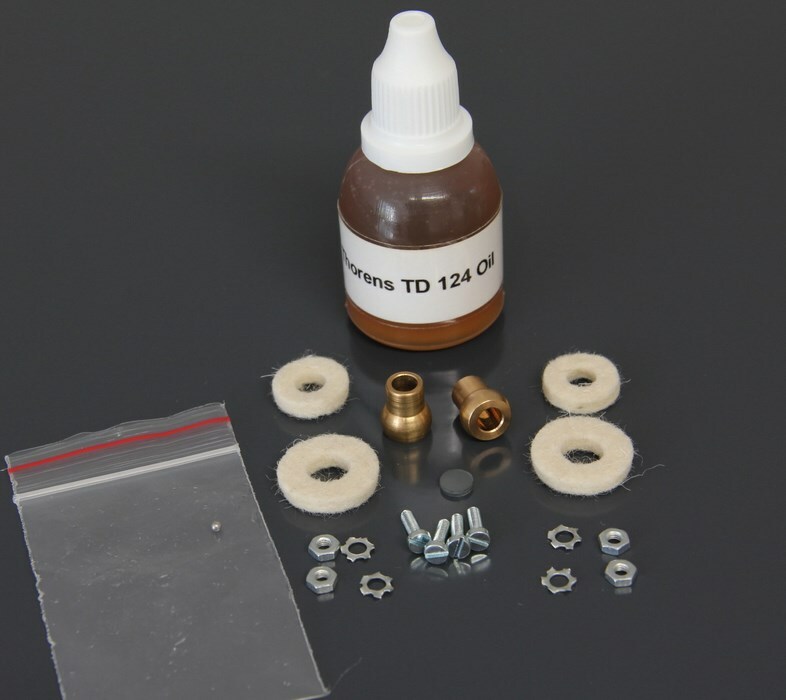 This kit also includes a 20ml bottle of matching oil, made in Switzerland. 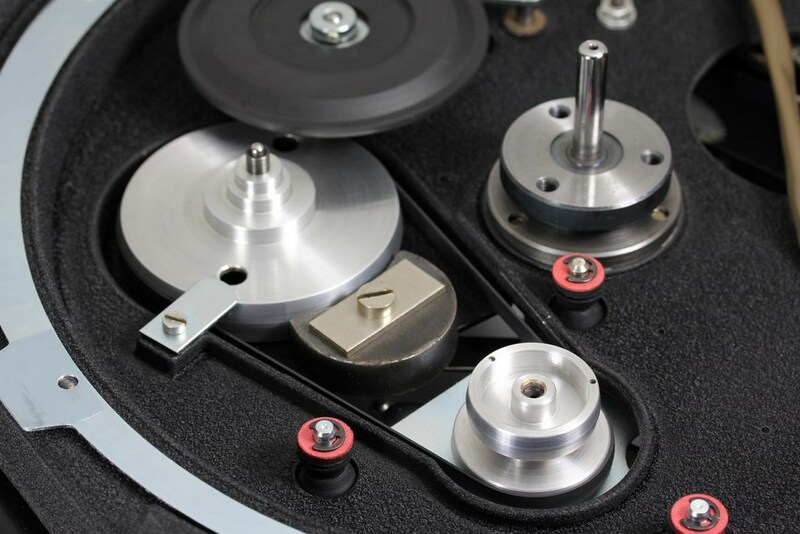 You do not want to do the repair by yourself? 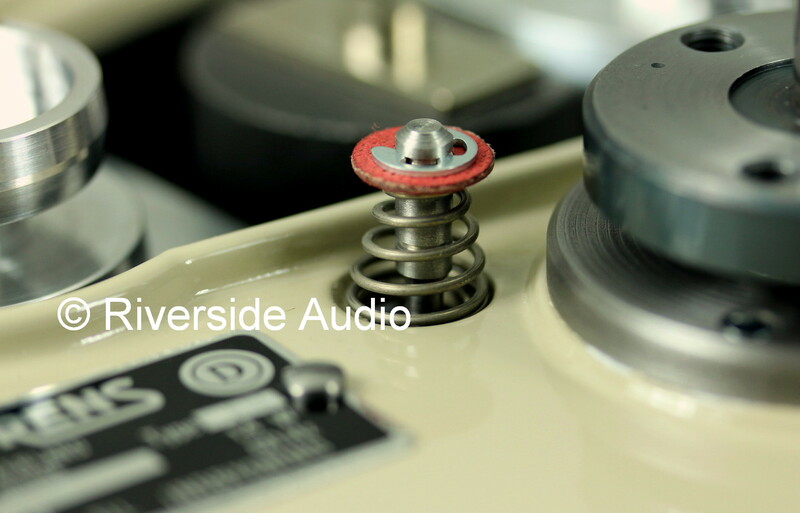 Riverside Audio offers a fast and reliable repair service, please visit motor rebuild in our “Restorations & Repairs” section for more informations. 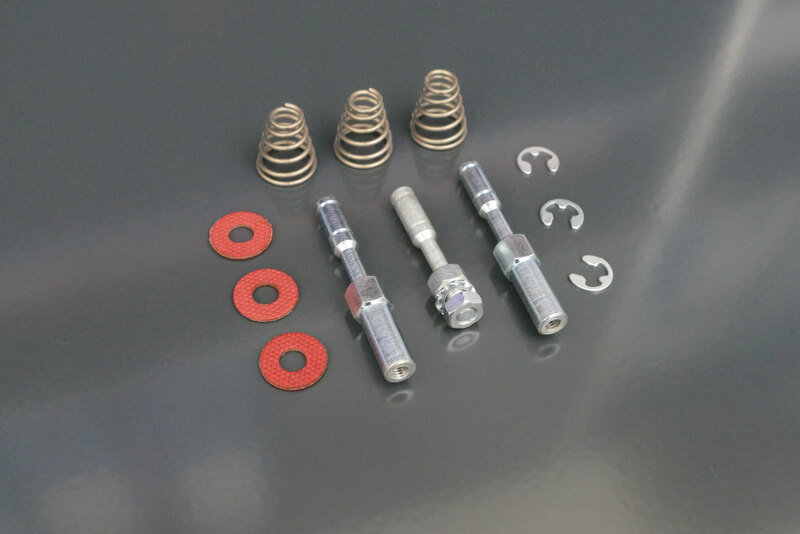 Motor-suspension & conversion kit "A"
Complete kit for upgrading the E50 MkI motor suspension to the improved MkII version. Factory installed MkII suspensions back in the 60’s contributed significantly better decoupling of the motor from the chassis. 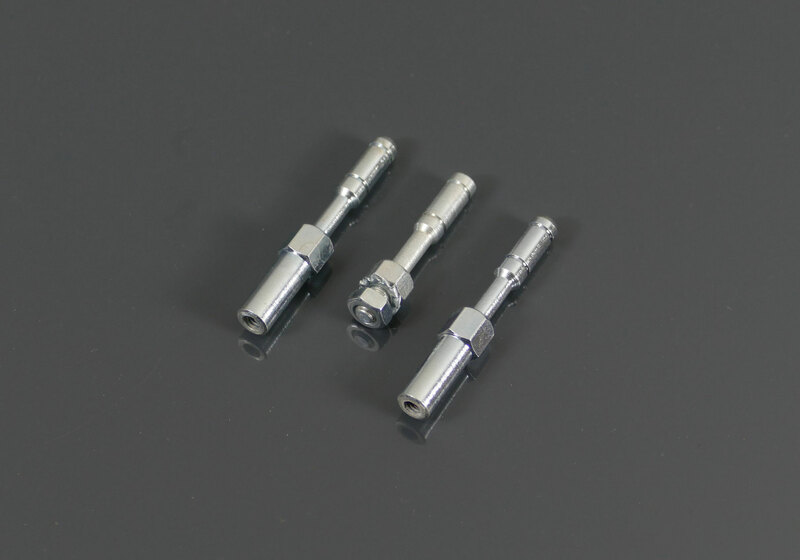 The result after the conversion is clearly audible, the sound improvement considerable. One of the 3 old suspension pins has to be drilled out for the conversion, this requires a drill. 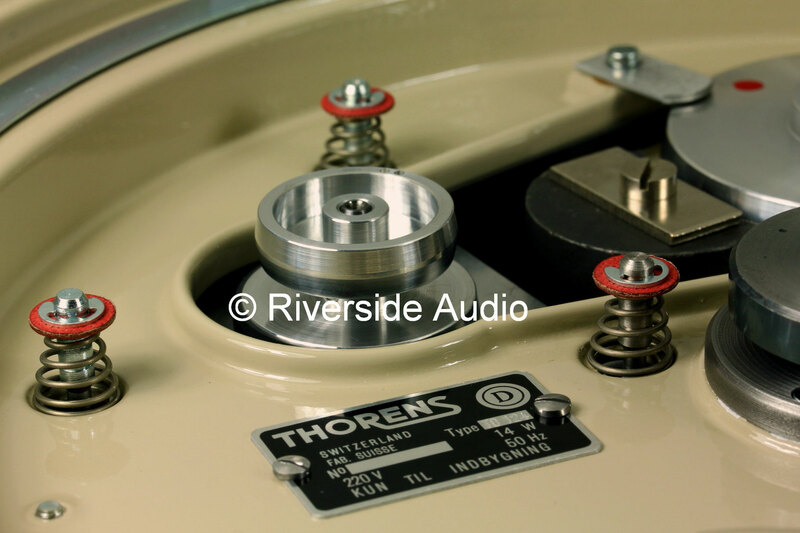 The last 2 pictures are showing an already to MkII specs converted motor. 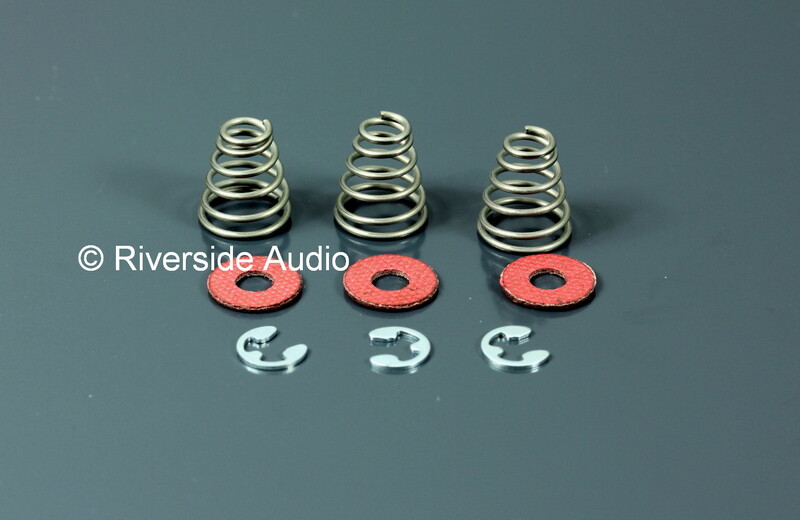 Motor-suspension & conversion kit "B"
Upgrade kit with springs instead of the normaly used 6 rubber dampers to convert your E50 MkI motor suspension to the upgraded MkII version (as described above). 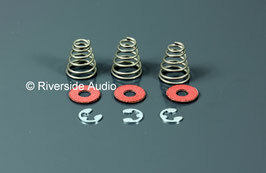 This kit contains 3 springs Instead of the normally used 6 rubber dampers. These springs were developed towards the end of production time of the TD124 MkII. 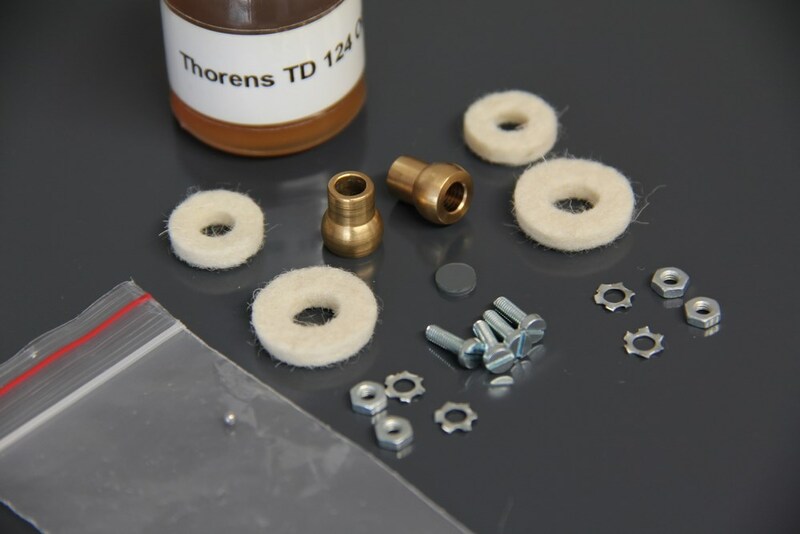 Since at that time the successor model TD150 was about to be introduced, the springs were never installed in 124's. They became obsolete and disappeared somewhere in storage. 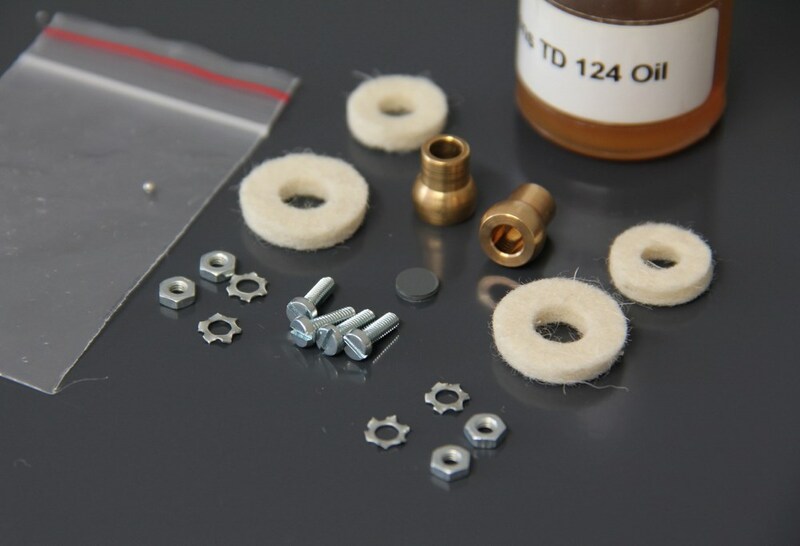 For installation in MkI models, the longer suspension pins of the MkII version are also required and included in this kit. 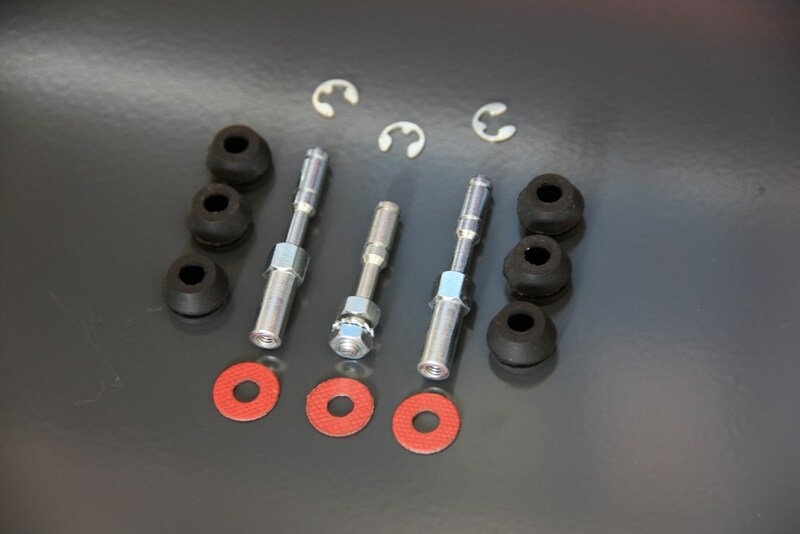 Advantage over suspension with rubber dampers is a measured -2dB improved rumble level. 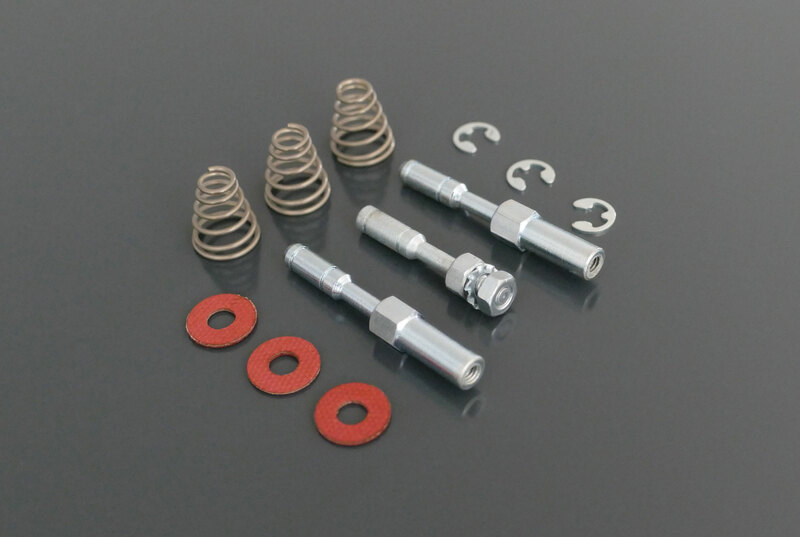 This spring-kit replaces the normally used rubber dampers on E50 motors. Advantage over suspension with rubber dampers: a -2dB improved rumble level. 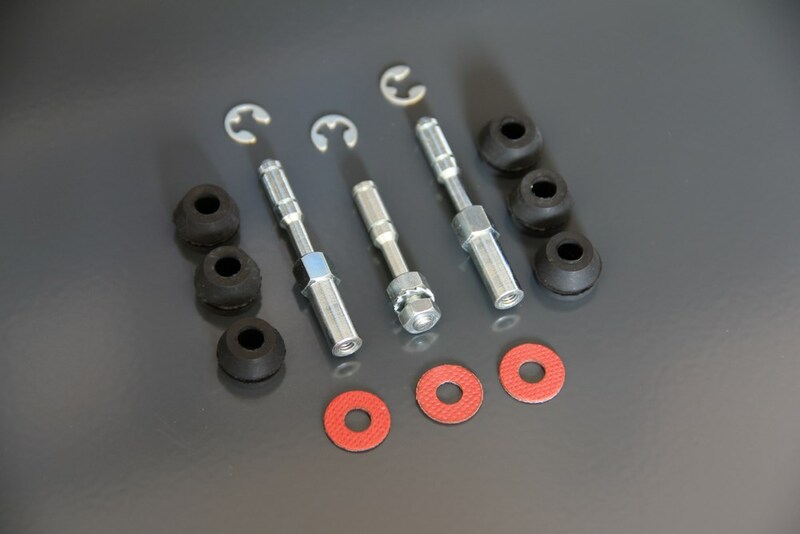 Installation in MkII versions: remove all of the 6 rubber dampers and replace by springs. 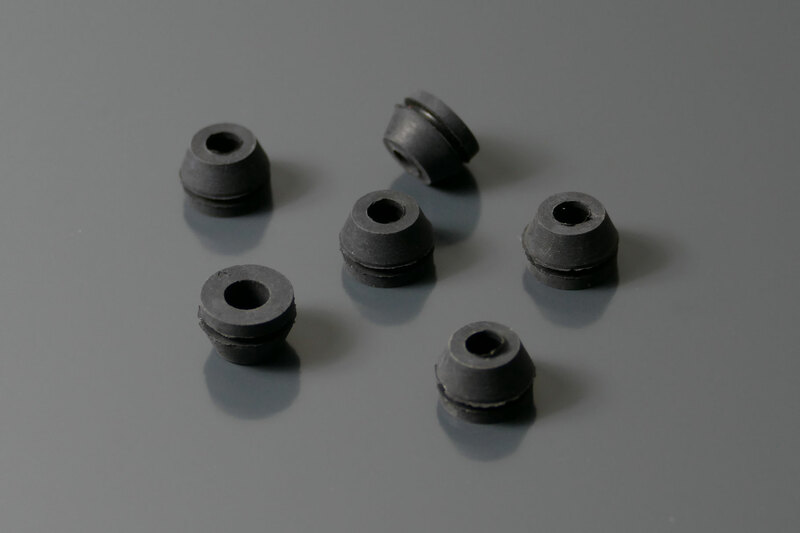 These springs will also fit all PAPST motors, without any modifications. 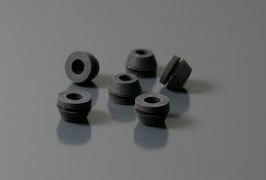 Exact reproduction of the original motor rubber-damper. 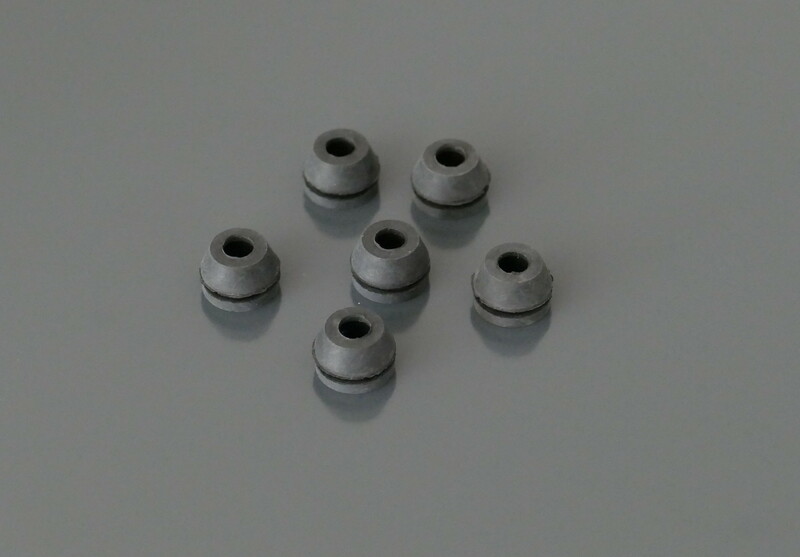 E50 motor suspension pins for conversion of MkI to the improved MkII version.